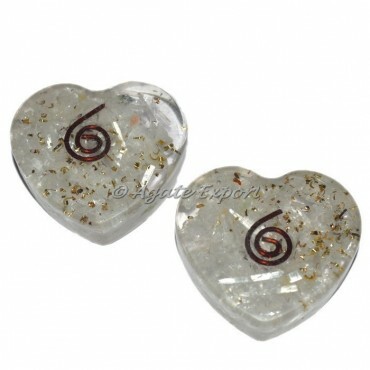 Splendid heart shaped crystal clear orgonite cabochons made from quartz gemstone. Clear Quartz acts as a deep soul cleanser, purifying and enhancing the body's internal structure and surrounding subtle bodies to connect the physical dimension with the mind. For any special order or any query contact us directly.